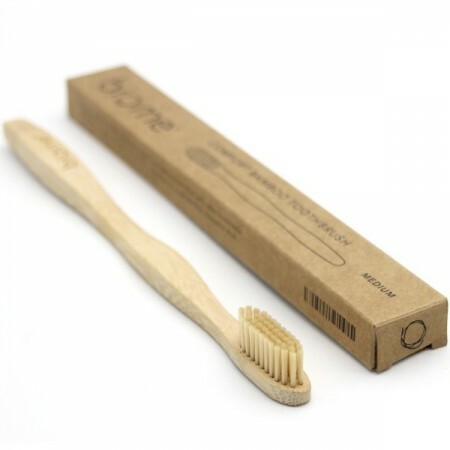 This medium bamboo toothbrush is a minimalist solution to plastic toothbrush waste, with durable Nylon 6 bristles that have rounded ends. Bamboo handle can be buried or composted at the end of its life. Our medium brush bristles are made from durable nylon with rounded ends to be less abrasive on teeth. 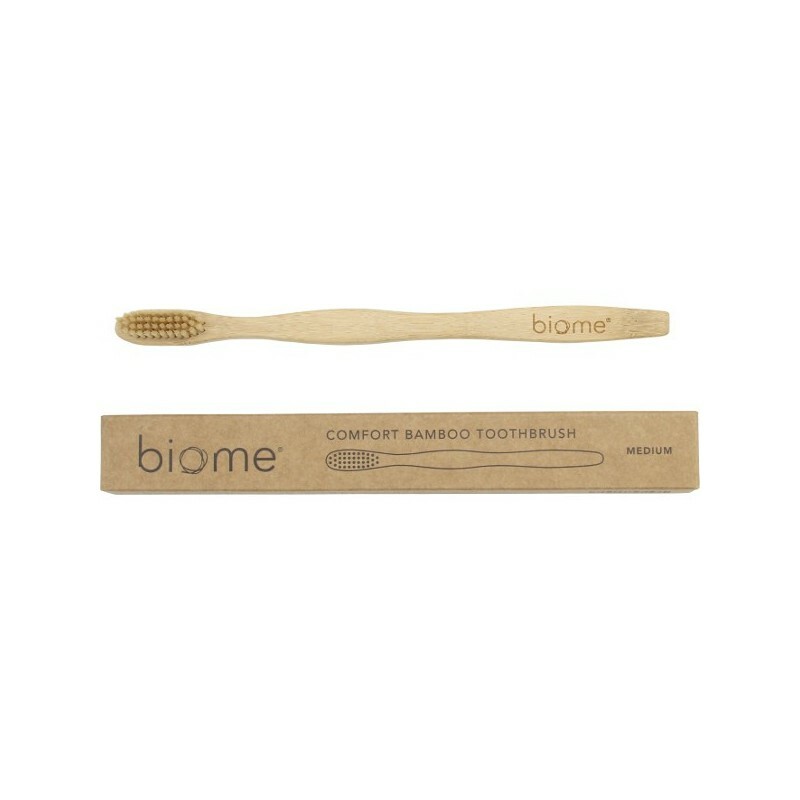 We also offer a Soft Bamboo toothbrush with long-lasting superior hygiene PBT polyester bristles that have tapered ends for better cleaning between teeth and gums. 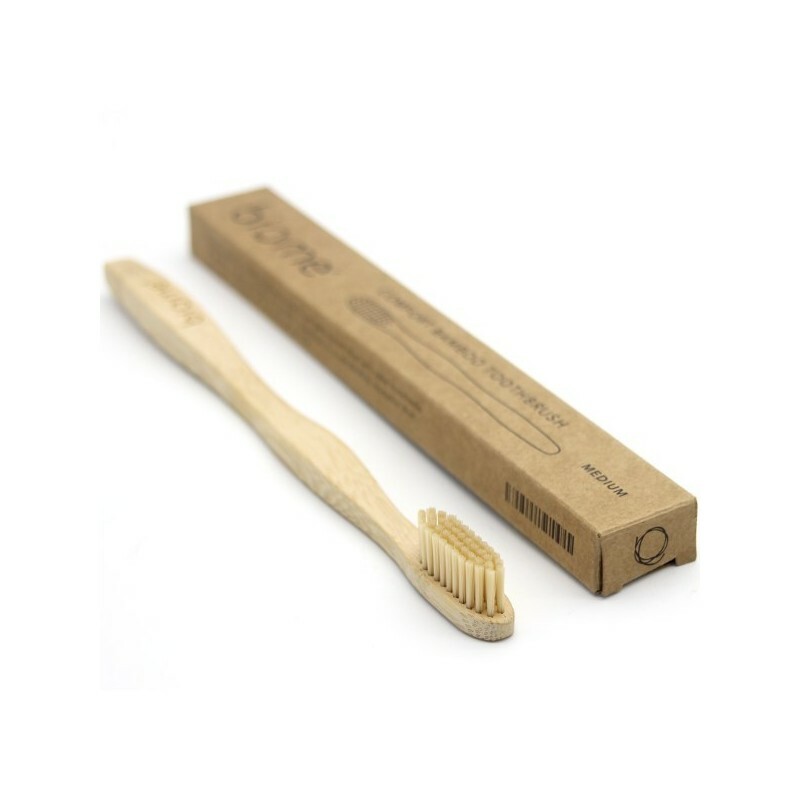 Kids bamboo toothbrush with PBT bristles is also available. PBT (polybutylene terephthalate) is a polyester compound. Nylon bristles are more flexible but they a water-absorbent and more easily deformed. 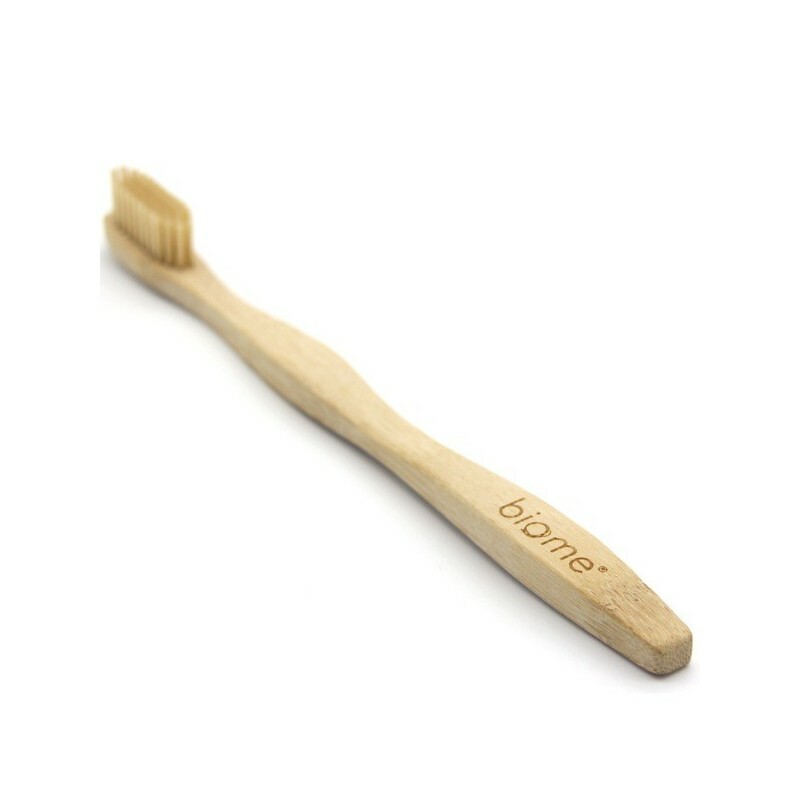 Therefore, nylon bristles are generally made more thick so they last long as does Biome's Medium bristle toothbrush. PBT bristles have a tapered needle shaped end to make them more thin and flexible and better for reaching between teeth and gums. Nylon medium bristles are suited for dentures and people who like a firm brush. Well made product and I will continue purchasing this in the future for all replacement toothbrushes. My family is enjoying this product! Love this medium bamboo toothbrush. It cleans very well and the handle is very comfortable.